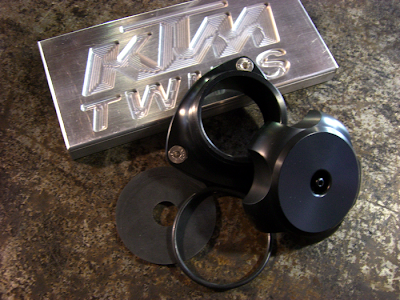 KTMTwins.com is currently working on fixing the known fuel cap problem that the KTM 690 Enduro and 690 SMC have. This fuel filler cap is machined out of solid aluminum and anodized Black for corrosion resistance. We are working out the details to this item with the manufacture so keep an eye out for it on our site here soon. I was waiting this cap for months! Tks a lot. This is one of the most anticipated items in years. We are almost there. Just a little longer I promise. do you have any idea what "little longer " is ? i have found a similar product elsewhere, but i like doing business with y'all. We are expecting this item here in a couple of weeks. It took us longer than we thought to work out the details to our business agreement but are very happy with the current status and are excited to offer this item to our customers. Please keep an eye out for this item in our up coming newsletter and featured blog.